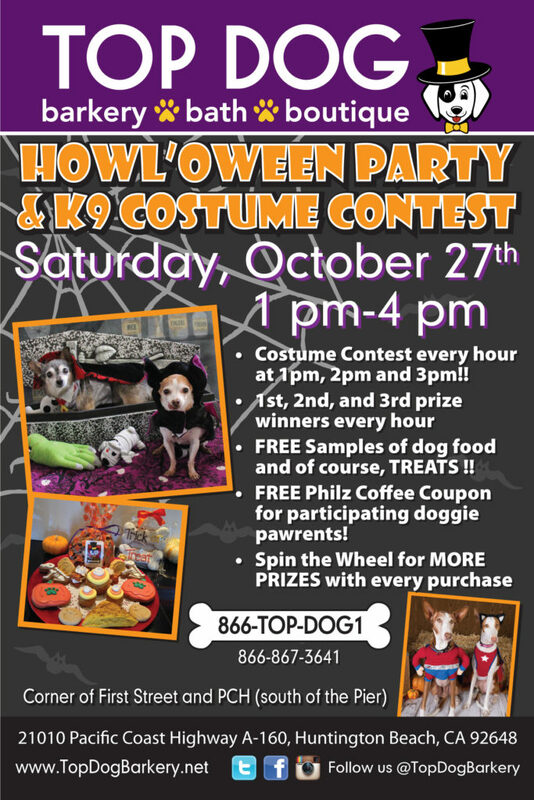 Join us for our Annual Howl’oween Party and K9 Costume Contest Saturday, October 27th from 1 pm to 4 pm. Costume Contest every hour at 1 pm, 2pm and 3 pm! FREE Samples of dog food and of course, TREATS! !